Being a leader is a lot of work. When executed correctly, then you would make a great team. But when a leader does not pay attention to the needs of his team, then the expect the opposite. Even a competitive business such as SEO Company, leaders make sure they know and understand what a team needs to establish trust and momentum. But then again, it is not that easy. The job of a team leader is not just about understanding or helping his/her subordinates. But also, he/she must be reliable, credible, and committed to working hard for the team’s growth – that makes an effective leader. To give you more of it, we list down some ways on how to gain team trust and momentum. You do know your team is working. They do the tasks you asked them to do and finish it on time. But the question is; which of them is dedicated enough to do his/her tasks well? Who is that certain person who would go beyond what you expect them to do? Who is that one person that makes sure that everything he/she does would excel? These people are worthy of a reward. Acknowledgment for their hard work probably would do. But as a leader, don’t limit your reward. Think about what makes them happy, excited or feel motivated to do their work even harder. SALARY perhaps? As a leader, you are well aware that time management is important. However, you may not realize that sometimes you have been using their time in an impractical way. For instance, you called them for a meeting, and yet your agenda is so simple that you can just inform them through an email. Think about how many minutes would it take for them to assemble in the conference room. Think about their feelings whenever you called a meeting. Not thinking about these things can ruin their productivity. Additionally, if you want to call a meeting, make sure to create a timeline on the things you want to discuss – a new project perhaps. It is in this way where you can deliver all the important things that needed on a new task or project in an easier and faster way. Keep in mind that a successful business would depend on how you act or work as a team. However, you can never create a strong team when you lack efficiency and communication. Is your team competent enough? Do they have the ability to excel in their field of expertise? Are they effective enough to execute a certain task or project? Knowing and understanding their unique capabilities is crucial when you want to create a great team. But you cannot achieve a desirable outcome when you do not care to communicate. It is in an effective communication where you can get to know more about your members. You may want to ask them on what part of the task do they find it easy or difficult. A simple question with a simple answer can create a big difference on the productivity of your team. That means, in everything you do, try to communicate and help each other succeed. No matter how competent your team is, if the members do not understand their respective task, then you are still bound to fail. That means, it is the job of the team leader to provide his/her members a clear definition of a specific task and project direction. Do not leave your members hanging and wondering what role should they take to achieve the right result. Keep in mind that your business or company is at stake. So, you better be serious in clearing up any misunderstandings and confusions. Needless to say, having a clear role and project direction does not just save your business from any disasters, but also helping your teammates feel ownership of their work and responsibilities. Not to mention, the feeling of accomplishing a certain task that he/she excel. Sometimes, a leader should also try to put on the shoes of their subordinates. Think about how would they feel whenever you keep lecturing them about something all over again. Think about the things you sometimes do that irritates them. You probably not aware of it, but there are times your team may not be as productive as before considering these issues. Keep in mind that your team would also get tired of being told what to do. Why not try to create a learning environment? They do not just learn something you, you can also get an idea for your next project based on their opinions and suggestions. An effective leader should cut the distance between his/her teammates. Work on and enjoy every task together. If there are any confusions about an individual process, then simplify it for them. If you learn something from reading or based on experience, then care to share it with your team. Or even do some team building to learn more and new stuff. It is in this way you can gain their trust and momentum that you certainly are the right leader for the team. Although being a team leader is a lot of work, it is not that hard to execute and be an effective leader. The effectiveness and productiveness of each team member would also depend on how you motivate them to work hard and excel in their respective task. Again, maintain a strong intra-team communication to achieve the desired outcome. There’s a big difference between working alone and working on a team. For entrepreneurs, working with diverse people with different life and work experiences is an advantage. But unless leaders are committed enough to create an effective teamwork, the team will never get the desired outcome. Even an SEO company aims to form a strong team to work together to achieve a common goal, vision or project. An effective teamwork is both simple and difficult at the same time. One thing that helps them is to be motivated and determined enough to achieve and have a guaranteed SEO for their clients. And to get you motivated, below are some quotes to inspire you to work on a great team. There’s nothing more effective than achieving success with your team. If you think that you’ve been slacking off lately, then you might want to go back to these quotes above to keep you inspired and motivated to do your work productively. Let’s be clear on one thing: Productivity at work can never be achieved when you are not willing to cooperate. Whether you are aware of it or not, we all do procrastinate. Perhaps, we may not be noticed that we are already procrastinating since some of them are small. But mind you, these small things when frequently done, it will also give a great impact to your performance at work. How much more when you are working in an SEO Company? Slacking off is a no-no, to prevent receiving calls from disappointed clients. Procrastination is a struggle you need to beat! But if you think that procrastination is the only reason why we can be productive, then you better think again. Our attitude towards our work also matters. When we tend to be passive, sluggish and lax, then we are also losing our productivity at work. And since we are already used to that attitude, it might be difficult for us to cope with the things around us such as meeting strict deadlines. Again, you do not want to entertain angry clients. Productivity is a major factor at work. It gives a great impact to the growth of your one’s business. However, if you think that you or your employees are already slacking off, then you have to do something to prevent such. Below, we list down top ten laws of productivity that you might want to apply to your work or business. Whether you realize it or not, we tend to hesitate especially when we are not sure of the things that are going to happen next. Of course, we do not want to act impulsively that might pose risk to our business. However, this can also cause some delays in our plans. We tend to lose ourselves in planning (and dreaming) indefinitely. You should break the seal of hesitation and must challenge ourselves to take some action sooner rather than later. The minute you start acting, it will give you valuable feedback that will also help you refine your original idea. Itis good to think big, especially when we already have a good concept on our mind. In fact, through thinking of a bigger idea, it can give us motivation to do and achieve such goal. However, there will always be some dangers when you tend to dwell on that “big idea” of yours. Achieve such would be impossible when you do not start from scratch. Perhaps, you can do some trial and error on your plan. One way or another, you will realize that there are flaws in it that you need to improve. With that, you will learn how to improve through your personal experiences. Every successful strategy will always have a plan. A trial and error is an essential part of any creative’s life. That simply means, you have to test each strategy whether or not it applies to reach a particular goal. If there are flaws in the process of planning, then you have to improve a particular tactic to achieve the outcome that you want. A prototyping and iteration is the key to transforming a so-so idea into an effective and successful outcome. Instead of being stuck on the failures, you have to move forward and try a new strategy to make it better. Whether you realize it or not, we usually have hundreds to thousands of ideas when it comes to a particular project – which leads to a bigger picture. However, if you want to have a higher possibility of success, then you need to create an objective what your project is all about. In this way, you will have a clearer view of the possible outcome. When it comes to working on in-depth projects, it requires us to have a serious infusion of our creative skills – to develop an engaging business plan, or just learning a new skill. Having a momentum and the right focus is important to achieve a desirable output. But if you tend to do a serious project urgently without any assurance of success, you may not get the right result of a particular project. That simply means you have to make sure that whatever strategy you use, it should be the right one. Developing a routine is one way to ensure productivity at work. It is a part of being able to work on a specific project without any doing some other things that are not related to the project. Yes, having a routine can be dull and uninspiring, but it can create a founding for sparking true insight. Moreover, a routine is also helpful especially when it comes to strict deadlines to meet since there will be an assurance you will do that particular project. Whether you like it or not, you cannot achieve more major project when you don’t start with the smaller ones. That means you have to break the project into smaller phases for you to be able to accomplish each task faster and easier. This is also crucial when it comes to staying motivated and inspired to finish a particular project. There are activities such as unnecessary meetings that can drag down the productivity of one’s person. Perhaps, it is understandable why there are meetings. However, there should be a concrete reason as to why there is a meeting, and make sure that there is a clear objective on what the meeting is all about to prevent any delays with the projects. It is nice to know that you can do anything for as long as it is related with the projected that is assigned to you. However, you also have to know that creativity is not infinite. To achieve a better outcome, you should be aware the right pacing when it comes to the tasks you are handling. Although you may have a daily routine of your work, always remember to be flexible enough when it comes to sudden changes. Your task would depend on the situation you are in. And whether you realize it or not, breaking habits offers a new perspective and helps you recharge to head back into the fray. Everyone involved in the corporate world has experienced attending a meeting on a regular basis—from various digital marketing agencies with seo consulting services to big retail conglomerates, meetings are essential in communicating what is working and what is not in a company. These are also incredibly effective in keeping every single person involved in your project or in your company updated on a particular job’s progress. It streamlines tasks and tackles pivotal points during every discussion. When various people convene to deliberate on imperative issues, critical and salient points, only then can they come up with an amiable solution to whatever is being discussed and once the minutes are recorded, people involved or absent can actually go over whatever is resolved during the discourse. However, this is only one side of the coin as more often than not, this common interruption of work is also one of the guaranteed ways to waste company time. More often than not, people can go off tangent, deviate from the original discussion and are more often than not, incredibly tedious—most especially if a corporate member drones on and on about a soporific subject. When this occurs, not only would the meetings take longer than usual, they will become virtually useless and the time designated for it could have been appropriated for something else—like accomplishing one’s tasks for the day. Of course, we cannot eliminate holding meetings perpetually as these are also essential discussions that would open every employee’s communication pathway.This is why there is a pressing need for people conducting meetings to hold them wisely instead of eradicating meetings altogether. So, if you are planning to hold a meeting soon, take a look at the list below in order for you to find new ways to not only hold your meetings efficiently and productively, but to add a little fun into the mix as well. Conducting a meeting without an agenda is like coming to battle without gear and weapons, it essentially translates to you being unprepared. Additionally, holding meetings without a clear agenda can easily make the people involved in the meeting veer off the topic at hand and would reduce what would be a corporate discussion to office-room chitchat. Outlining your agenda for the day’s meeting would help people involved come into your meeting fully prepared with their discussions. To ensure optimal results, start with an outline of topics to be discussed and make sure that all of the attendees are furnished with these a day before the scheduled meeting and provide the necessary background information for everyone’s convenience. Before you call out a meeting, contemplate and take time to consider who are pivotal to the course of the meeting. If a supervisory personnel can attend in his employees stead then do just that instead of having the both of them attend the meeting. After all, supervisors and managers can relay the salient points of the meeting and delegate tasks to those under them and doing it this way would effectively give the employee uninterrupted time to finish his tasks. In essence, invite only people who would be directly involved with your announcement or discussion—do not invite any more than necessary. Consider banning tablets and smartphones during meetings unless they are completely necessary to the course of your meetings as this will only diminish your attendees’ attention span and would distract you from your primary objective. Remember, your gadgets are teeming with things that could potentially distract you from emails, notifications to phone calls—all these would make a meeting last longer should any one of your attendees attend to them. Once an agenda is laid out, cover everything in the meeting according to the time you have allotted for them. 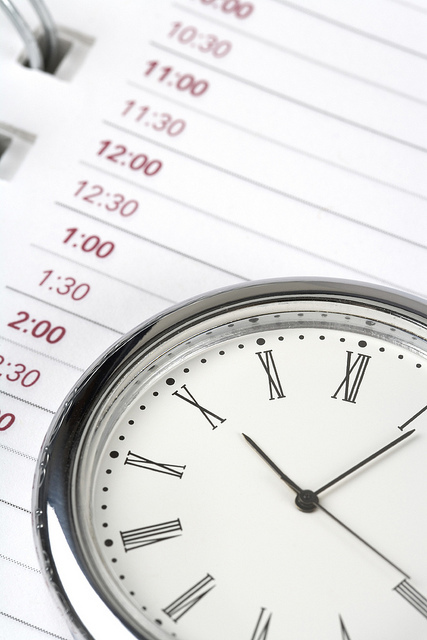 Do not spend more time than necessary on a singular item and end up extending your meetings for another half an hour or so, make an accurate timetable and stick to it. Additionally, it would help your attendees focus if you conduct your meetings this way, so it would be best if you email it to them in advance. 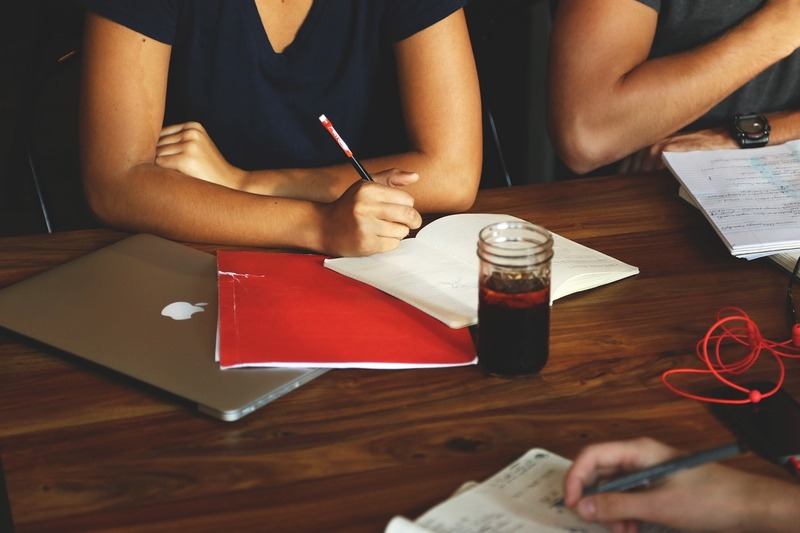 This direct way of tackling meetings would effectually eradicate potentialoff-topic discussions and small talk that derails imperative discussions during the meeting. The person selected for this role will act as the meetings leader and would oversee the progress of a meeting. Select a meeting chief who you are sure is comfortable in setting up the meeting, is goal oriented and would actually do a great job at keeping the meeting on track. Additionally, choose someone who is well-versed on the salient issues or pertinent discussions to be deliberated during the meeting. Lastly, your meeting leader should be someone who is equally trusted and respected by the attendees and the team. Whoever said that meetings need to be constrained within the four walls of your office? This inhibiting notion can cause many of your attendees to nod off or completely doze off during the course of your meetings. If there are no paper works involved, consider taking your discourse at the company garden outside or at a local café but be warned, make sure the place you choose has minimal distractions and would still be conducive for company meetings. There might be a person to take the minutes of the meeting, but they cannot necessarily jot down every relevant point made during the meeting and more often than not, this point may concern you. Jot down your own notes as this will serve as a record for you and will enable you to inquire further or to have a point elaborated on particular assignments that involve you. Additionally, take notes the traditional way: by using a pen and a paper pad or a notebook. This will effectively lessen the temptation to have multiple tabs open while typing down notes and helps you digest what is being gone over better (it also keeps the noise level during a meeting at a minimum). To make sure you and your attendees are on the same page, it is essential that before you close every meeting, you gloss over what has been discussed during the previous hour or so. This is also the time for further elaborations and inquiries and it effectively wraps up a meeting. Make sure everyone understands what they are expected to do and when they are reasonably expected to do it and have everyone leave the room in complete comprehension over just what has transpired during your meeting. If you conduct your meetings wisely, you would see how they can be very effective and productive. Additionally, holding smarter meetings expedites the delegation of tasks process as every attendee is not only aware of what he or she has to do, but understands the nature of what is expected of them as well. 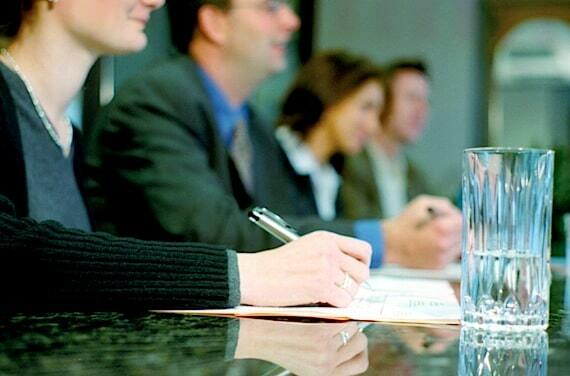 Remember, meetings may be a bane or boon, it all largely depends on the person conducting it. Humans are without a doubt, the most visual creatures on earth. Nothing entices us more than anything that is pleasing to look at–eye candies if you may. In fact, the human brain processes images approximately sixty thousand times faster than ordinary written text. Now, here’s a fact that may blow you away: We retain only about ten percent of what we hear and twenty percent of what we read and a whopping eighty percent of what we see. Now, should you be a wise digital marketer, you would find ways to creatively exploit this human quirk or trait. Suppose you are an online marketing agency specializing in link building services, this fact alone should send idea pings and signals to your head. As it is, most, if not all digital marketers would want their content seen and above all, shared. For social media specialists and marketers, this means one thing: Peppering your posts with eye-popping images would almost guarantee you more shares as more shares denote better engagement. In fact, it has been shown that visual content largely dominates social media, much more than written text. By now, you should have an idea of just how significant the usage of images is, but as there is profusion and a multitude of options when it comes to images, it begs the question: What sort of images should you use? Well, a recent survey has shown that despite the influx of videos, infographics and illustrations lately, people would still prefer the classic take by reading posts laden with a variety of photographs. However, if you include animated gifs into the mix, then photographs pale in comparison as animated graphics seems to dominate the charts when it comes to the total social shares by blog post image type. Instagram and Twitter already has an avenue for animated gifs to be played, while Tumblr has always been littered with posts teeming with animated gifs. It seems that only until recently Facebook was left out of the loop. But late last year, the social media juggernaut has finally allowed GIFS to be playable in their news feed making this image type a formidable contender in being the preferable image platform. As bloggers and content writers, this is a welcome opportunity for you to widen the scope of making your posts more engaging. By utilizing GIFS, your audience is not limited to seeing stills and photos nor are they constrained to watch a video. This makes the image platform a welcome compromise to the dilemma of wanting to watch a video without the lengthy interval as gifs are relatively short and quick to view—nothing more than a few seconds of your audience’s time. And that is not all; GIFS are quite easy to use as finding the appropriate one for your post does not take much of your effort other than scanning through available and existing gifs in Giphy.com which is offered for free. However, should you not find anything suitable; you can easily create one for your own with the online tool gifmaker.com. Quite easy to use, very straightforward and engaging, these attributes are precisely why gifs have been dominating social media platforms all over the web. You may think that utilizing illustrations is a bit old-school and outdated. Although this may be true, it is unbeknownst to most, illustrations give your content, blogs and posts that personal feel that would give your readers the impression that you considered giving your write-ups enough effort to go the extra mile of making them a lot more personalized and detailed. Additionally, personalized illustrations guarantee your posts a sense of peculiarity and inimitability at some degree. Graphs made by excel will never be at par to graphs made with artistic skill and given a touch of personality. How is this achieved? Simple, you utilize your own handwriting and your own skills in drafting graphs. You do not need to be in possession of calligraphy skills and artistic panache, but you do need to make sure your handwriting and drawings are understandable enough to your readers. Your sketches may look nothing more than doodles to you, but you can be assured that they attract and hold the attention of your readers and since they are created by hand rather than by a machine, it gives the illustration a certain edge above the others. Apart from illustrations giving your posts a personalized color, it also allows the poster for humor to pervade his or her post. Let us face it, humor can hardly be achievable with rigidly stiff lines and graphs drawn on excel. Squiggly lines and haphazardly drawn graphs are incomparable to computer generated shapes and charts. *Canva- Canva is the well-known image creator and image editor for the web. People who have no design skills will still be able to create attractive graphics fast. *Google Charts- Although, you would still need to save the charts to use them as pieces for your infographic, Google offers you one of the best free infographic tools available. *Infogr.am- If you want an infographic generator that is teeming with options, then Infogr.am should be your choice as it offers more options for free than most of its competitors. Additionally, it’s built-in sharing functionality and ease of use makes this the prime choice for bloggers and content writers who want to insert infographics into their posts. Though you can use photos randomly generated by stock photos or searched for in search engines, using your own photos guarantees your post a degree of authenticity and originality. However, as not all of us are gifted with a photographer’s eye, this is easier said than done. Should you have top notch standards for visual content, it is best if you consider hiring a professional photographer—one whose works are in line and appropriate for the type of content you generate. If this is not an option, use your smartphone and just give it your best attempt. In any case, your photographs may look like they have been taken by an amateur, they are still far better than photos collected from stock photos. If you want compelling content that would be shared and re-shared by your audience, let them feast their eyes on something other than a big block of text. Creating inspired images does not have to be expensive as you can even do it with a simple sketch achieved through a pencil or through an online free software such as Canva. So, fellow bloggers and content writers, let your words paint a literal picture for you by utilizing various platforms in images. It will certainly do wonders for your SEO, and it will do wonders in granting you wide readership. On a typical Monday morning, you sit down on your designated seat behind your desk and stare at your computer screen. You do not immediately tackle on various assigned work tasks. No, of course not. You need to have the cogs of your brain well-oiled and properly working before you begin working on tedious tasks. So you go on about your usual work routine, doing the tasks delegated to you all the while allowing room for little things to sidetrack you and before you know it – voila! It’s already Friday! And you still have so much left to do in so little time. You’re left wondering just where did the time go. Well, my friend, all those time allowances you made for diversions may seem nondescript and menial in comparison to the time you have allotted for work. But when you add them up, they can really accumulate and cost you valuable time in which you could have accomplished a pivotal task. It’s okay; you do not need to beat up yourself for it. Distractions at work are inevitable. Considering that the average attention span of an adult is approximately only five minutes and complement that with a work machine teeming with endless sidetracking capabilities, being distracted is not only a possibility but a guarantee. However, making up for lost time is not as straightforward as getting back to the task at hand. Recovering the time you lost inescapably means attempting to retrieve the momentum you had lost before you were sidetracked and that is not always easy. That’s why distractions should be kept to a bare minimum. If you are looking for ways as to how, read on. If you are working in a corporate setting, being equipped with a desktop computer is one of the many perks and getting sidetracked is almost a certainty. Perhaps while you are penning your report or making weekend plans, you are also browsing your friend’s vacation photos, watching a cat video on YouTube while the report you are to send is buried ten tabs beneath your current tab. Change your mindset: The initial step in managing technological distraction is simply to acknowledge that these exist and that they derail you. To manage any type of distractions, you need to change your mindset. Get on your computer with having the best of intentions to work on the report. Set a time limit: Set a time limit and be conscious of the time you are allotting for yourself and the task on hand. Let’s say you have designated thirty minutes on the task. Make sure the entire thirty minutes is spent on the report itself without having even just a single minute cruising on Facebook . Doing it this way will significantly increase your work productivity. Take a stroll instead of a scroll: More often than not, staring at a computer screen for too long can cause stress and may affect your work productivity. Screen breaks are essential. However, most employees make the mistake of hovering over to social media whenever they are granted this opportunity. In doing so, they end up taking a break longer than they intended and lose the momentum they had built initially. In lieu of a technological screen break, opt for something more refreshing instead. Give your eyes a break and take a five-minute stroll within the office. It helps you relax your eyes and mind and gives your legs that much-needed exercise as well. Just remember not to pause for a slight chit-chat on your way back. Office chit-chat is healthy; it fosters cordial relationships with colleagues and generates inter-office friendships. However, too much social distractions at work can pave the way to work inefficiency. That’s why social interactions, albeit healthy for camaraderie, must be exercised within reason. Have a sign: If you do not want to be interrupted, attach a sign to your work cubicle that says something like “Focus Mode” or “On a Deadline”. If it may seem rude, talk it over with your work group or your team and let them know that you are working on something crucial and would want to be interrupted as minimally as possible. Ask them to email: Alternatively, you can ask them to email you instead especially when you are “in the zone” and cannot be interrupted. Follow them up in person afterward. Discuss interruptions over coffee: You may have colleagues who are either too dense to take the hint or are simply big on gabbing. For these colleagues, discuss your concerns over coffee. Let them know firmly, while maintaining a gentle tone, that you have a lot on your plate that you need to get done. Many people may not recognize this, but the very environment you work in such as your work cubicle can very much contribute to your work efficiency and productivity. You may not know it, but the unremarkable office clutter you have sitting atop your desk may contribute to the distractions sidetracking you from accomplishing important tasks. Build a wall: It may make you seem like the standoffish colleague, but desperate times call for desperate measures. This is especially true in meeting deadlines. Modifying your work environment can help you deal with distractions. It is essential for you to create a visual cocoon for yourself if you can. If there be a need, create barriers that would assist you in keeping your eyes on your work and make you less accessible to outsiders. Try setting up plants, having a lamp between you and the outside world or stacking up books. The less opportunity for your eyes to wander, the better focused you will be. The truth is, the office place itself is a place with copious opportunities for distractions – reading text messages, updating social media, getting wrapped up in office banter, etc. These are just a few of the things that may detract you from work and office productivity. Remember, these distractions do not only provide an avenue for a short “breaks.” Instead, the stress and frustrations they predictably cause you during deadlines keep you from being an effective worker. If you are already aware of what is keeping you deflected, gain a better traction at controlling the little impulses that prompt you to get sidetracked. In this way, you will have more done, be an efficient employee and have an overall great feeling about it. She sat at her desk working a 9-to-5 job. As she perused her old photos lifted from an album on social media, she saw herself happily mixing batter in a silver bowl making Christmas cookies. She sighed as she had envisioned herself being a prominent chef with her own cooking show or at least her own restaurant. But instead she works in finance sitting behind a desk taking calls day by day. And by this point in her life, she doesn’t see any of her dreams materializing anytime in her future. Besides, dreams are for the fresh and young people. Old people, way past their prime, have no business in making dreams. Dreams are for those who can afford them, and the endeavors entailed in reaching them. What erroneous notions those two are. Dreams are not exclusive for the wealthy but are accorded for anyone who is willing to make the struggle in accomplishing them. However, this misguided belief and statement becomes a justification for those who have failed themselves and their ambitions. Such misleading impression and belief of dreams being exclusive for the wealthy is a prospective threat to the doe-eyed people intent on attaining success. What keeps us from progressing in our lives? What are the obstacles that hinder us from realizing our true potential? Are the things that impede us from our achievements truly innate in us? All of us, if not most, have imagined futures where we see ourselves succeed. We all have dreams, aspirations and various goals that we all hope to come to fruition one day. Only the road to achieving these is not set on a straight path. That path is littered with many trials. Humans as we all are, we are not proof against committing errors in our day to day activities. Some of us will try our hardest to make sure we reach these dreams. Some of us think of excuses on why we never got there, doing a great disservice to oneself shall you proffer inexcusable reasons for failing to reach our dreams. Some of these reasons are deadly, and here are some of them that may be keeping you from achieving your dreams. This is a deadly cop-out and is almost synonymous with saying you do not find yourself worthy of your own dreams. You might not boast stellar credentials and impressive work experience, but that should not be a roadblock in chasing your dreams. Additionally, this excuse also becomes the reason some people settle for less than what they are truly worth. They slave for hours on minimal compensation without stopping to consider that they might be qualified for a higher position and a better salary bracket. Never let this excuse restrict you from attaining your goals. In one way or another, we have had all the experience we need, and this is called ‘life experience’ that can be utilized for any work we are involved in. As the adage goes, “Age is just a number” and in this case, it still is. Age is no basis of whether you should start or cease chasing success. Either way, whether you are young or old, you possess innumerable advantages. When you are young, you are filled with boundless enthusiasm and energy. Whereas, when you are old, you are more knowledgeable and experienced which will work to your advantage. Don’t let this excuse serve as an obstacle to achieving your dreams. After all, age should not matter. A common reason for delaying the chase of dreams is people lamenting the fact that they do not possess a college degree. Most of us were misled to believe that to be truly successful in life, we should go to school and get a job – a rather formulaic take on success. Because of this misguided belief, people are committing themselves to a self-imposed prison and have ultimately disabled themselves from a race where they could have won. Possessing a college degree in no way makes you smarter than anyone else; we are all smart in our own way. Proper application of our intellect will take us places, and that in itself is more than enough. In essence, it is like you are saying that you do not have time to achieve all that you envisioned for yourself. This deadly excuse is the lamest one among the ones listed in this article. Achieving an ultimate goal is not set in stone, and the logistics involved in it is not always the same for everyone. There is no definite time frame for it. So, if anything, you should be navigating the road to achieving your dreams today. You may not possess all the needed resources you want, but there is no harm in starting small today which would eventually get bigger day by day. Remember, there is no effort so small as to render it insignificant. Every little thing you do today counts tomorrow. So start now. This excuse shifts the blame towards others rather than focusing the blame on yourself. The truth is, you need to have a proper self-awareness before you can truly attain your dreams and succeed in life. You do not need to source support from others in achieving your dreams. In lieu of garnering support, you should create and find it. There are a lot of people out there who will be more than willing to see you accomplish your dreams and succeed. You just need to find the right kind of people whose dreams are in line with yours. They are looking for you as much as you are looking for them. Money is a tight issue and remains to be one of the biggest reasons people would neglect chasing their dreams or avoid them altogether. We may not possess sufficient funds today, but are capable of generating those funds and saving them. We should be wise about the money we earn and be creative with the money we have saved. In time, when enough finances are accumulated, you can start making your dreams come true. There is no exact formula for success, but one way of doing it is to attain money sufficient enough to sustain your dreams. A dream remains a dream if you have no intent on achieving them. An aspiration becomes an inspiration when a plan is thoroughly laid out in achieving it. Remember, your dreams are your grandest possessions today and realizing them and having them come true will be your biggest accomplishment. Time, age and money are not your enemies. Your excuses are. So, it is up to you how you can change that. Search Engine Optimization (SEO, for brevity) is not dead. No matter what the critics may say — SEO remains as a powerful marketing strategy with the majority of SEO companies offering link building services guarantee results. However, SEO is not as straightforward and as easy as many of us wants it to be. More often than not, even SEO specialists themselves will encounter a few kinks and bumps down the road, resulting into a very frustrating workflow. So, what do stressed and frustrated SEO specialists do? They resort to shortcuts. Underhanded and offensive shortcuts at that with hopes that these black hat techniques would get them roughly the same results as the legitimate techniques, only with lesser hassles and stresses. However, this is not exactly the best way to optimize your website. In spite of giving you substantial and fast results, it may very well be the main cause of your website’s death. Sure, it’s fast, easy and it gives you the desired results, but it is rarely worth it. Many might think that black hat SEO is a thing of the past, but this is a very common misconception. Black hat SEO still remains as one of the most obnoxious ways to garner website traffic. However, due to specific circumstances, SEO specialists are pushed to implementing these black hat techniques. Some choose the lesser evil which are gray hat techniques. This post aims to make you aware of the many underhanded methods that website owners and even optimization experts may utilize to game Google’s ranking system. Though each of these may sound incredibly enticing, the implementation of any of these would inevitably result in being penalized by Google. Yes, Google will know that you are intentionally being deceptive. The post categorizes these techniques into three, ranging from bad to the extremely terrible and will give you samples for each proffered category. These strategies are tricky and stealthy. You may be using them unwittingly with the misplaced notion that they are not hurting rankings. They are not done deliberately and can temporarily increase rankings. Sure, you managed to craft content that is both rich in information and compelling. However, at a second glance, you would see that it is rich in something else as well – keywords. And by that, it would mean that almost every line of your post is literally laced with a keyword or keyphrase. This may get you ranked. However, nowadays, it’s not as effective. Keyword utilization is still necessary and beneficial, but writing excellent content that offers rich themes and substantial information should be a priority rather than keyword density. Some SEO people, especially the inexperienced ones, utilize this technique. Those who did this has a misguided notion that since nobody is minding their images, they might as well stuff it with keywords. However, this misconception should be debunked. Though this will not result into any sort of penalty, it would be a challenge to your visually-impaired visitors and will not do anything good for your on-page SEO. In building your brand and expanding your reach, this seems like a necessary action. But take caution as guest blogging on irrelevant sites just to gain links is never okay. This could potentially get you in trouble more so because the mantra nowadays is earning editorial links. These are the techniques you are very well-aware are not so acceptable. However, for the sake of page rankings and favorable web traffic, you are willing to look the other way. These are the techniques that might cause an initial increase, but take heed; you will eventually have to face the consequences. There are days wherein we need to produce topnotch contents. However, there are also days wherein we could not find relevant themes to fit the barrage of keywords we are given for the week. So what do some optimizers do? They utilize them anyway. This is one of the shortcuts that marketers do for the sole purpose of ranking for those keywords. Unfortunately, Google has been sharpened its algorithms to identify a page’s real topic through Latent Semantic Indexing (LSI). So, using this otherwise unacceptable technique is moot anyway. Over-optimizing your Meta keywords does not hold any real consequences, but it does not do much either as it would not give you any sort of advantage in terms of rankings. The same can be said for your Meta description. Though Google would not use the content of your description as a ranking factor, it serves as your ad copy in the SERP’s. So, with that in mind, make sure you craft the meta description in such a way that it describes your page accurately, enticingly and appealingly. Footer links are extremely necessary for helping visitors navigate your site. However, there are some sites which utilize footers but not necessarily aimed at helping users. They do it so they will garner more rankings for their keywords. Keep in mind that if you are indeed providing a link in your footer, make sure it is actually useful for your visitors. Do not do it for ranking purposes. You are well aware that this is wrong, but you do it anyway. You are enticed by the easy rankings and you just cannot help it. A word of warning though. This is going to get you penalized. Best case scenario would be you preparing to receive a manual penalty. However, there could also be a complete de-indexing of your site. In a nutshell, this involves waiting for a page to rank, then stealthily replacing it with a different page. This will get you irrelevant ranking for a while, but nothing bypasses Google. They will eventually figure this strategy out. You may see this as getting ranking, but it would also send your bounce rates through the roof. Thus, this is hardly worth the risk. These are pages crafted for the purpose of intentionally getting a keyword ranked by merely diverting visitors to a different page in the process. Doorway pages offer little to no content at all and often result in many useless pages, taking up all the top rankings for a given keyword. As archaic and obsolete this strategy may be, it is still rather rampant and happens rather regularly. What happens here is that webmasters would disguise keywords on a certain page by matching the text color to the background. In some instances, they position the text off the screen using CSS, making it only visible to search engines. There are a lot more black hat techniques including link schemes that are not covered by this article. However, we have glossed over some of the most common strategies that are still surprisingly utilized today despite being corrupt. Always take into consideration that these techniques may increase your traffic and give your keywords ranking in the short-term. But, more likely than not, it would damage not only your rankings but your reputation as well in the long-term. And are you really willing to take that risk just for the sake of doing things easier and faster? I think not. Let’s admit it! For the past years up until now, emojis have already influenced and penetrated the way we communicate with other people. We usually use emojis to fill empty and boring texts into more exciting and fun messages. How much more if we bring it to the next level? SEO Companies, and I’m sure you too, are thrilled with the thought of using and integrating emojis with their social media optimization efforts. If you are not sure and still stuck on the thought whether emojis are worth the integration on your social media strategies or not, let me give you some reasons why emojis can help boost your brand’s presence. For one, it can make you appear friendlier to your followers and target audience and make you happier offline in the process! Have you ever tried reading blog posts or even comments that are so plain with no visuals at all? Boring, isn’t it? And you definitely don’t want to continue reading it. There are times that no matter how good the content of your posts, your target audience will still not notice or, worse, deliberately ignore your post. Perhaps, your posts were monotonous and dry enough for them not to be engaged and interested on it. I bet, you too will skip that post and scroll down! It doesn’t matter whether your post is long or short. If you just have the right visual or emoticon that will help represent what you want to imply, your target audience will definitely love to drop by and read your post. And they will do this consistently. The more attractive your posts are, the more people will be interested to read and share them to others. It will definitely be hard on our part to imagine how happy, sad or pissed our followers are if there are no representations of what they really feel. Before the emojis exists, typing and including *pissed* on your post is just a word with no feelings at all. Well, it will really take an imaginative mind to picture just how pissed the person is. However, with the use of emojis, it gives life to the feelings that we have. It projects and represents the almost exact feeling that we want to convey with the other person. Of course, it is given that we should use the right and exact emoji for others to clearly understand how we feel. People who usually used emojis on their content can immediately grab their target audience’s attention. There are even times that we tend to giggle, smile or laugh whenever we see posts with emojis that are so cute that we want to use and look at it all the time. With that, who would not want to enjoy reading your posts? A lot of you here might wonder and ask whether using of emojis in companies is acceptable or not. For some, the use of emojis when communicating is a sign of unprofessionalism. Perhaps, they think that emojis are only used for communicating with friends and families. Well, that might be true to some firms especially when they are strict with their policies. All forms of communication must be firm and professional in any way. However, there are a lot of businesses that have already adapted the trend. They already have included emojis in sending emails to their target market. There are even studies that can prove that use of such increases the target audience’s participation. The University of Missouri-St. Louis had a research about how their target audience react when they received emails with emojis. Researchers sent two kinds of email to the group of audience. One is a flirtatious email and the second one is extending a job interview request with emojis on some part of it. They then discovered that their target audience like the second email more because they feel like the sender is talking to them in a friendlier and more approachable way. Moreover, they discovered that although they used emojis in some of the emails, the credibility of the sender was not affected in any way. It only grew more traffic and participation from the target audience. Generally, if one receives a critique from his or her followers, that’s because they were not pleased by the content that they’ve read. The content might have offended them or it violated some of their rights as a consumer. There are many other reasons, which lead any of your follower to throw some criticisms on your way. However, if you used some emojis especially some smileys on your email or article, they might have second thoughts on directing harsh criticisms on you. There are also studies shows that whenever there are some negative feedback from your followers, yet you responded to them with positive emojis, there is a higher possibility that your followers will have a change of mood. They will feel good about the message that you have sent to them. In everything you do, there will always be a positive and a negative feedback from your followers as well as from your colleagues. You even criticize yourself, right? 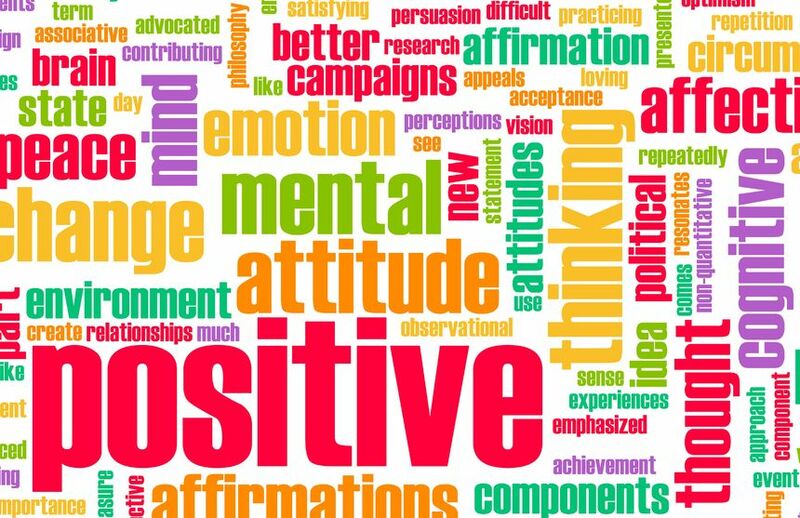 However, when you create a positive vibe even with the way you communicate, it will develop a good atmosphere in the place. Not just in your workplace, but also in the digital work, in general. Furthermore, people who use emojis can accurately “read” the emotional content of a message, which leads to lesser conflicts in understanding and clarifying messages. Thus, giving the conversation a more “light-hearted” tone. In sum, emojis play a significant role in the way people interact in the social media. It is something that the audience naturally uses and expects to see whenever one updates his or her status or post. Following the trend, several brands and well-known companies are now using these visuals to increase brand engagement. These are the audiences’ emotion-driven engagement, encouraging them to care more about the post without interrupting the way we communicate our brand towards our target audience.